Ahead of the 2019 presidential election, the All Progressive Congress Governors Forum has opened up on why it endorsed President Muhammadu Buhari for a second term. 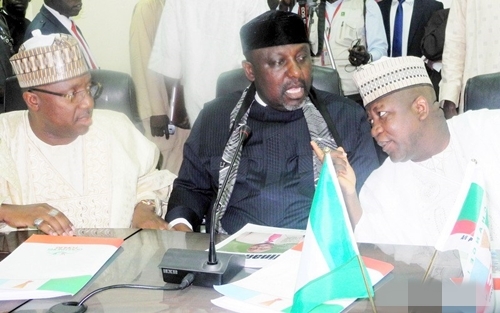 In a statement issued to journalists by his Chief Press Secretary, Sam Onwuemeodo on Friday, The Chairman of the All Progressive Congress (APC), Governors Forum, Rochas Okorocha, said that four years is not enough for President Muhammadu Buhari to deliver his campaign promises. According to Premium Times, the Imo State Governor, said Buhari needs a second term to fulfill all his promises, adding that, due to this, the governors had adopted the president as their sole candidate for 2019 presidential election. The statement said this decision was the outcome of the three days meeting held in Abuja by the governors, adding that the governors agreed that the Minister of Transportation, Rotimi Amaechi, would be the Director General of the presidential campaign team. “We have been in Abuja for three days holding meetings of the Progressive Governors with the APC leadership. We deliberated on so many issues. “We also deliberated and an unanimous decision was reached that we liaise with the campaign team to be headed by the Minister of Transport, Chief Amaechi as the Director-General.